Things To Do, People To See & Places To Go. They say that time heals all wounds…well perhaps that is true but those of us who lived through hurricane Katrina will never forget what happened here eight years ago, on that fateful August day in 2005. Our beloved Coast was torn apart and our lives were changed forever. What good could have possibly come out of that experience? 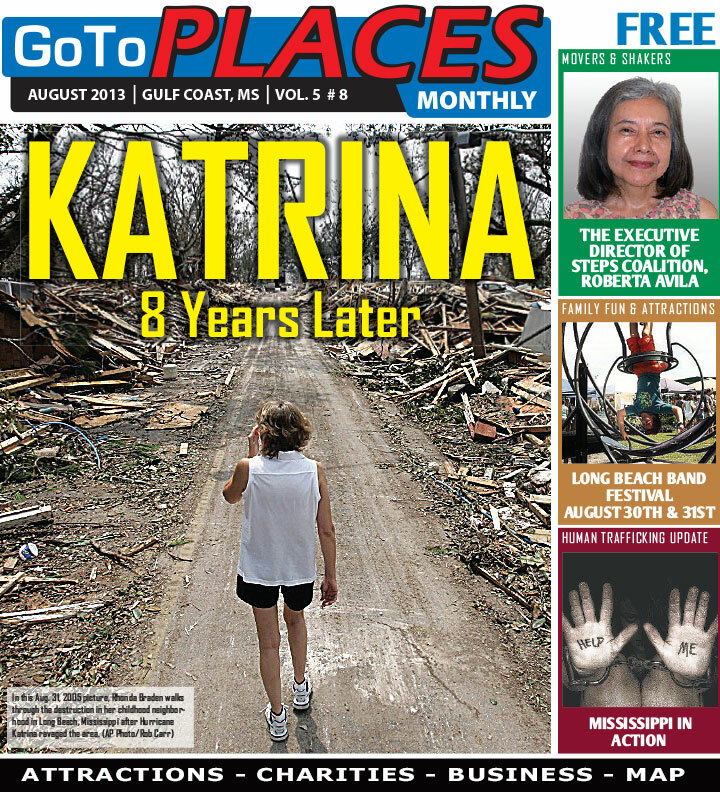 Well, they also say that all clouds have a silver lining and believe it or not, Katrina did as well. Read all about it here. Meet Mover and Shaker, Executive Director of the STEPS Coalition, Roberta Avila. STEPS was formed after Katrina in order to give a collective voice to the growing population of immigrants who came to rebuild the Coast. We revisit the subject of Human Trafficking this month to provide you with a much needed update on this insidious crime that is alive and well in South Mississippi. GTP also investigates sports energy drinks and current beauty trends…are they safe for you and your family?